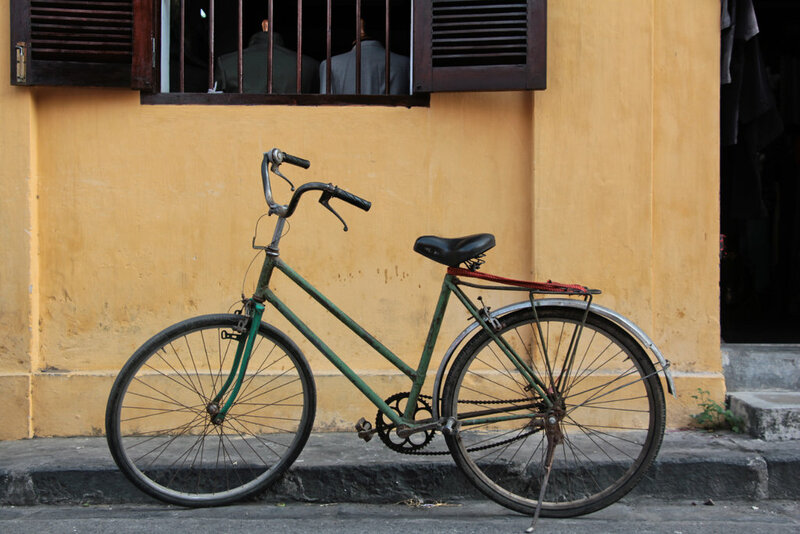 It’s impossible not to be a total tourist in Hoi An, Vietnam. The streets are so pretty that you’ll find yourself snapping pictures every few steps. 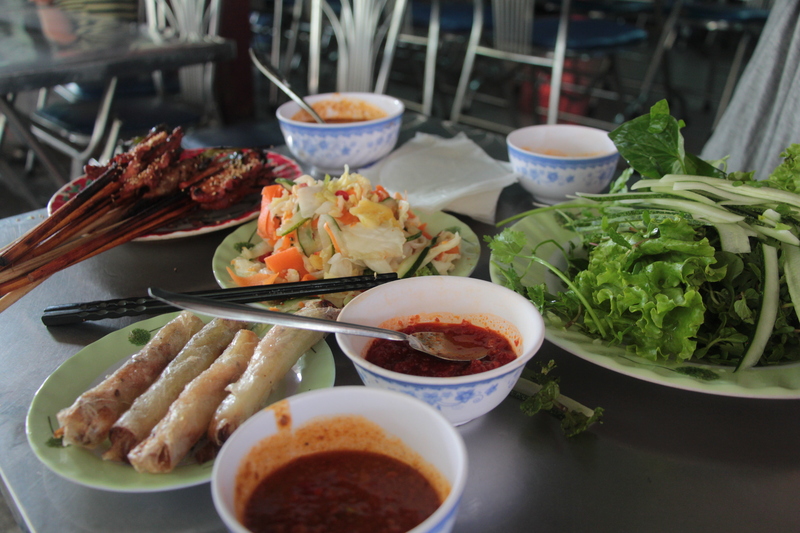 The high-end restaurants are a far cry from the street stalls of Hanoi (but still affordable by western standards). And the bars that come alive at night along the Thu Bồn River, serving cheap beers and shisha, practically force you to behave like a drunken backpacker, at least once. But despite the fact that it’s so touristy it’s practically Disneyland, Hoi An will also make you fall hopelessly in love. It’s dripping with history and charm, and unlike beachy Nha Trang to the south, Hoi An just feels more authentic. A gentler, more romantic sliver of a country that can challenge even hardy travellers. All those romantic Vietnam photos of weathered, yellow buildings and lanterns hanging in the streets and candles floating on the river? That’s Hoi An. It’s a live-action postcard, a living museum. Hoi An was once one of the most important trading ports in Asia, attracting merchants from Europe, China, India and Japan. 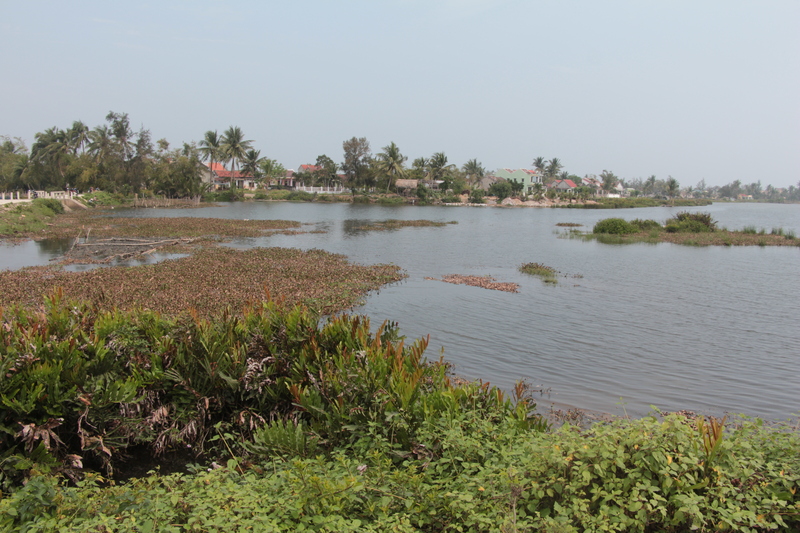 But in the late 19th century, the Thu Bồn River silted up, becoming too shallow to navigate boats from town out to the sea. 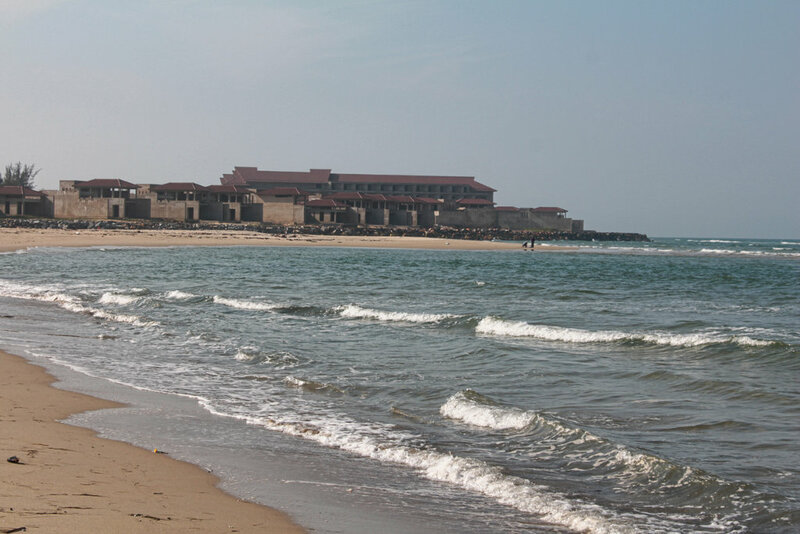 Nearby Danang took on the role of main port, leaving Hoi An untouched for further development—and ripe for tourism a century later. Today, Hoi An is a UNESCO World Heritage site, recognized not only as a well preserved example of a traditional Asian trading port, but also for demonstrating the fusion of cultures over time. 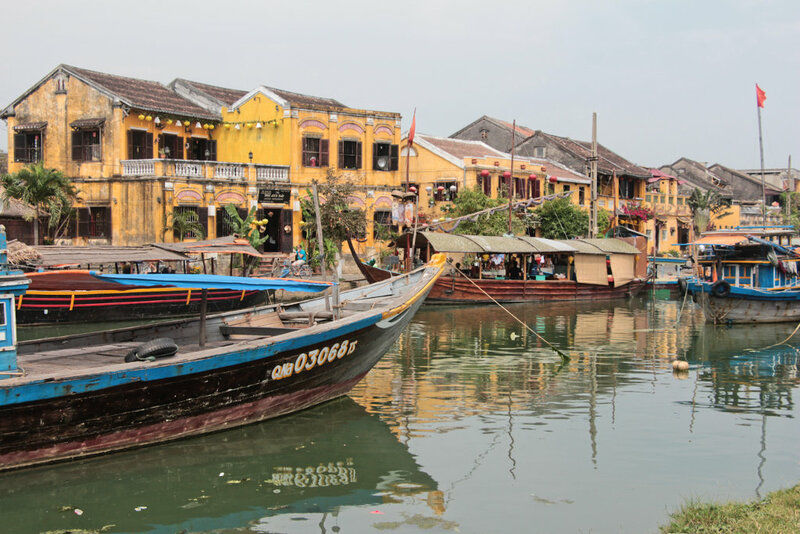 Its history and stunning beauty makes Hoi An one of the top destinations for visitors to Vietnam—which also means it’s very, very hard to get off the tourist track within the city limits. And, admittedly, sometimes you won’t want to—you’re probably going to get clothing made (Hoi An is famed for its custom-tailored dresses, suits and shoes) and you’ll probably take a cooking glass (Morning Glory and Gioan are among the top recommended). No, it’s not “authentic” and these operations are all searching for tourist dollars, but participating in them is also part of the Vietnam travel experience. As tourist-centric as Hoi An is, for those who insist they’re travellers, not tourists (side note: I’m due to write a rant about that attitude any day now), skipping the town is not an option. It’s simply too beautiful. And yes, there even are a few (slightly) less touristy things to do. The main beach area of Hoi An (about a 15-minute ride out of town) can be pretty crowded, but the cafés are cheap and each one has its own lounge chairs right out on the sand—just buy a beer for 15,000 dong (that’s 75 cents Canadian) and you can chill under an umbrella for hours. But to escape the crowds, hang a right on Âu Cơ and head all the way to the marina and lighthouse. Here you can wander stretches of sand where the only other people will be the fishermen heading out to sea. It’s not necessarily a good place for swimming, but it’s a both a peaceful and slightly eerie stroll. Fishing boats line the waters and ghost resorts—shells of complexes abandoned during the global property bust—stand guard over the beach. Because the beach is a ways outside the old town, you’ll likely need to hire a taxi or find your own set of wheels. 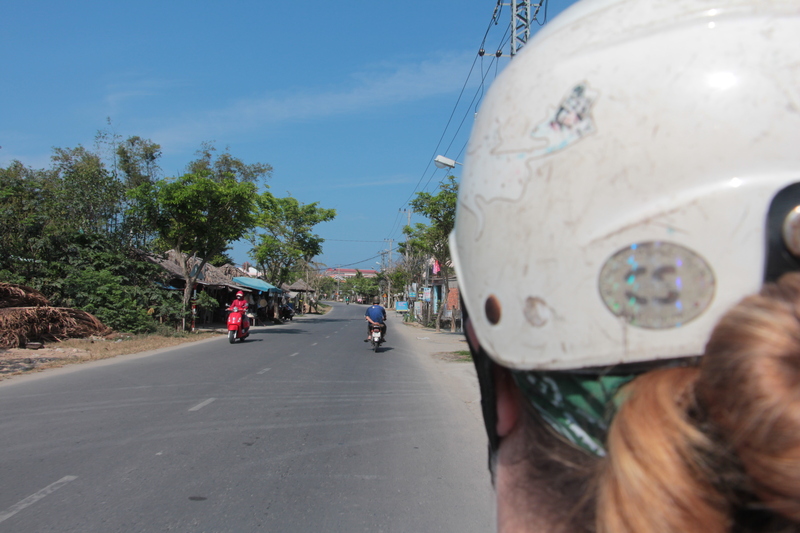 Bicycles are one option (Hoi An is a moving sea of tourists on bicycles), but a better option is to rent a motorbike. They’re fairly cheap and the outskirts of Hoi An are much easier to maneouver than the bigger cities (although I’d recommend avoiding the edges of the old city, unless you really love weaving around pedestrians). Head out of town along the fairly quiet street of Nguyễn Duy Hiệu, which hugs the river, before heading along Cửa Đại and across the bridge to the beach. Pretty much all the restaurants in Hoi An are fantastic, but they’re also very pricey—at least in comparison to the more authentic street stalls you’ll find in Hanoi or Ho Chi Minh City. 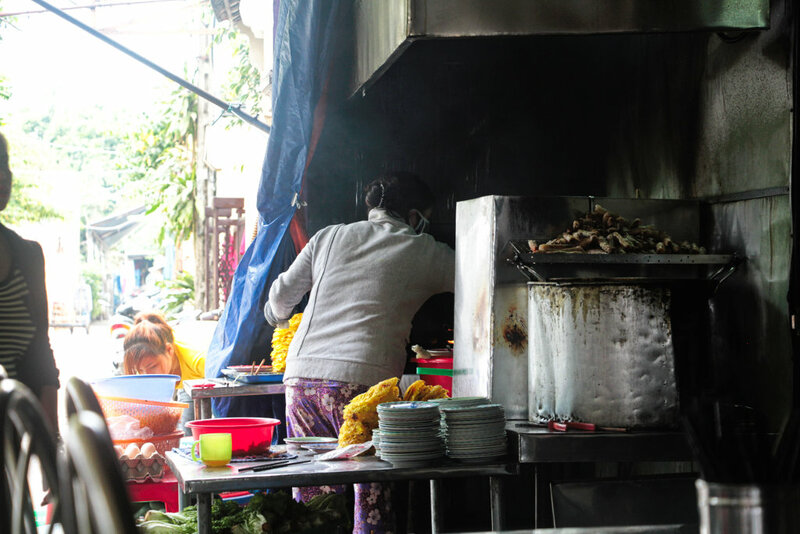 Morning Glory is probably the most famed of them all, praised in Lonely Planet guides and renowned for its traditional street food-inspired menu and cooking classes. And yes, I ate there, and yes, it’s as tasty as they say. But the atmosphere felt no different than eating at a high-end restaurant in Miami. It was too nice, too spotless, too perfect. With a tour group of westerners at the table next to us. I don’t necessarily want grit (I love gourmet food as much as anyone else), but I want something that’s affordable for those who live in the community, not just those who stay in the hotels. Bale Well is an open-air restaurant with tiny stools and tables outside, and a massive barbecue grill sending smoke wafting down the alleyway. There’s no menu, just one dish: barbecued pork, served up satay style and alongside fixings—rice paper wrappers, rice pancakes (called bánh xèo), fresh herbs and dipping sauce—to make pretty much the tastiest rolls you’ll ever have in your life. I never did quite master the snug-tight roll our server showed us as she demonstrated how to eat the dish, and instead ended up dripping pork juice down my arms, but that somehow just made it more delicious. It’s also much cheaper than the waterfront restaurants and, more importantly, a frequent haunt for locals. So, this one is pretty standard for Hoi An—like I said, the streets are filled with tourists on bicycles. But a bike does give you the chance to get out of the main town and explore the surrounding countryside, giving you a better insight into life for those who live in the community (and is a safer option for those not ready to solo it on a motorbike). There are plenty of tour operators, but the truth is you don’t really need a guide to get around. There are tons of safe (although bumpy) paths and if you can find the river (or know which direction it is), you can find your way back into town. Simply rent a bike from one of the town suppliers, grab a map and go exploring. 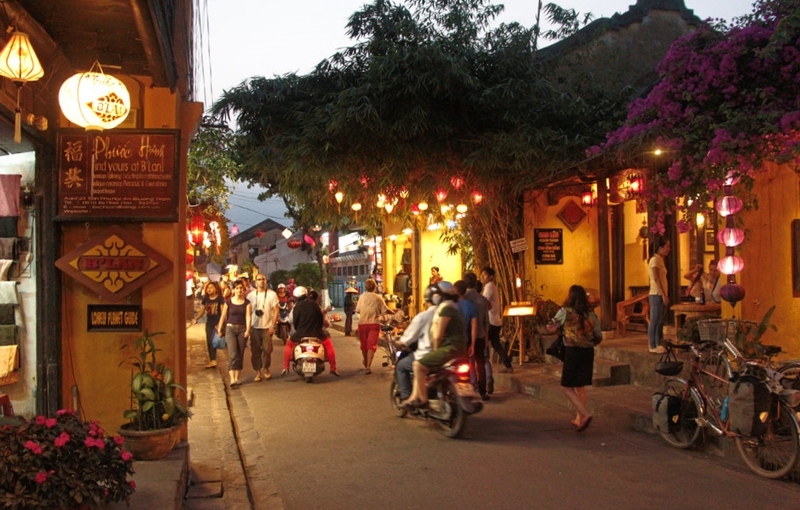 For some good tips to get you started, check out these routes by LiveHoiAnMagazine.com and Travelfish.org. Our morning of cycling along village alleyways was one of my favourite experiences in Vietnam, simply for the quiet that came with it. Vietnam is an intense country that can challenge you—sometimes in a good way, sometimes in a very, very frustrating way. There are incessant horns honking and vendors calling and almost every traveller to Vietnam has a tale of being scammed at least once. But sailing past rice paddies and water buffaloes, away from the touristy chaos of tailors and pancake vendors and backpacker bars… well, come on. Could there be anything more perfect? Hoi An is the Vietnam you see in travel brochures, the kind of place that pulls you into a dream-like state, where time stands still and the real world is somewhere far off beyond your reach. It lacks the chaos of Hanoi, the trendiness of Saigon, the glam and grit of Nha Trang. It’s as on-the-tourist-trail as you can get. But let me tell you, it sure knows how to make a girl—tourist, traveller or something in between—fall in love. I travelled to Vietnam courtesy of Intrepid Travel, on a prize that I won at a Toronto Travel Massive event; however, all views expressed are entirely my own.